Yep! We are definitely transitioning weather wise and I am wearing a look that is perfect for it and, in my opinion, just plain perfect. Now, when the weather changes as much as it does during the couple of weeks of transition, it’s important to layer. The great thing about that is you can still be comfortable and you can still look chic. One of my favorite trends looks that is always in style for warmer weather are florals. Be they light, dark or anything in between. With spring just days away (YAY!!!) I’ve been waiting to wear this light yellow, ruffled maxi skirt because it is great for layering. 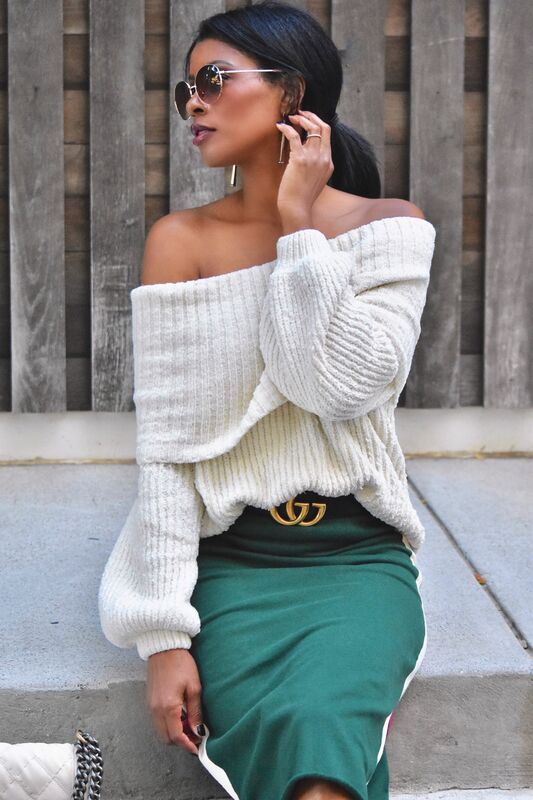 Going from winter to spring, I wanted to incorporate a darker color with the skirt, not only because of the great contrast of the light yellow and dark green but because the skirt has prominent pink and green leaves all over it. To provide balance, I went with an ivory silk tank, which can easily hold its own in the event I need or want to take off the jacket. A statement belt is always a good idea when pulling a look together and I went for a copper colored grommet belt with gold hardware. I HAD to have gold because I needed to incorporate my newest love, the Dior #jadior hairpin. Who else is madly in love with this newest accessory? They are so fun and they take an outfit to the next level. They also come in several sizes and colors. I opted for the smaller version but will be investing in the larger one very soon. Please don’t judge me for wearing them too much. Thank you in advance. 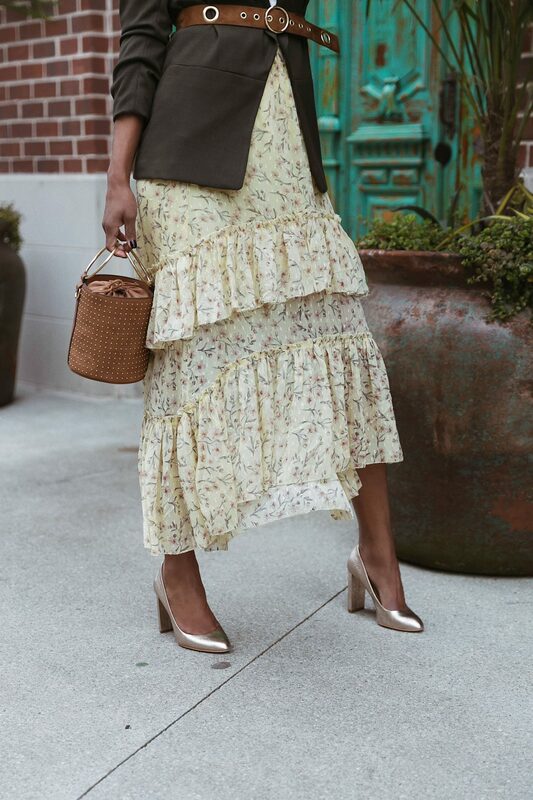 Today’s picks: light yellow ruffled, floral maxi skirt with silk tank, army green linen blazer and copper, gold grommet belt with gold accessories.